Added support for more future DLC products (ie: Aerotrain). Fixed a bug where some asset icons did not appear in AI command panel. Fixed a bug where the Sander was displaying a wrong image. Hotfix 1 for Trainz Simulator 12 is available via auto-patch so you will be prompted to download and install the patch when you start the game. 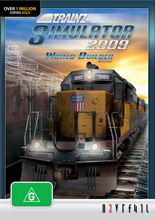 You need to have your Trainz PC connected to the internet and your Planet Auran account details entered in the Launcher settings to use the auto-patch feature. When you join a MP session with a password, Trainz will automatically focus to the password field. Fixed a bug which prevented rejoining a multiplayer session after a disconnect. Hiding UI will now also hide player names in multiplayer. Fixed the missing length display text for Surveyor rulers. Fixed a bug where Trainz does not remember players KUID number when working offline. Fixed a bug where the "Routes Menu" was scrolling to wrong position when reversing sort order. Fixed a bug where sound was not being played properly in various conditions. Fixed a bug with time zone conversions in Content Manager. Fixed a bug where 'Today' filter did not work in some languages. Fixed a bug which caused TrainzUtil to freeze when installing certain cdp via command line. 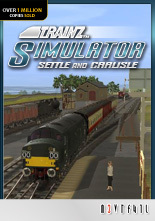 A hot fix patch has been released for TS2010 SP3 that contains a fix for the issue some users were seeing where Trainz would hang indefinitely when saving a route or session. Further minor changes are also added to save functionality to ensure greater stability. This patch is manual download only for the moment. It will be added to the autopatcher soon. Manual patches for TS2010 Service Pack 3. 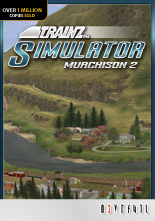 Manual patches for TS2010 Service Pack 2. A list of fixes available in this service pack can be found here. Manual patches for TS2010 Service Pack 1. This is a small update to address the main issues with the release version of the game such as the ATI graphics card problems. Unfortunately one of the issues was a problem with the auto patch system so you will have to download the patch and install manually. Note: SP4 will patch directly over your existing installation. Whilst existing content should not be affected, we recommend that you back up your installation prior to upgrading. Note: SP2 will patch directly over your existing installation. Whilst existing content should not be affected, we recommend that you back up your installation prior to upgrading. 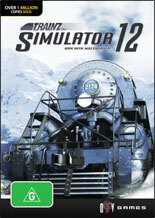 The Trainz team have been busy for the many weeks preparing Service Pack 1 for your enjoyment. SP1 is a small 15MB update that includes numerous improvements, enhancements and bug fixes. Highlights include some significant performance improvements in “2009 mode” with frame rates often double those achieved in the old "compatibility mode". We've also improved the alpha blending in compatibility mode at the expense of lower performance on some cards. As more new content is released that takes advantage of the new systems, routes will begin to both look much better and perform much better. Whilst the team achieved a lot with SP1, the task of improving and adding to Trainz is never really complete. Work has already begun on the next update expected early in the New Year, and also on adding new features for Trainz Engineers Edition. Note: SP1 will patch directly over your existing installation. Whilst existing content should not be affected, we recommend that you back up your installation prior to upgrading. Patches have now officially been released for the TS2009 add-on packs. 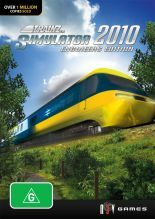 These patches can be used on any installation, whether they are installed as stand alone installs, as add-ons to Trainz Simulator 2009, Trainz Simulator 2010 or Trainz Simulator 12. 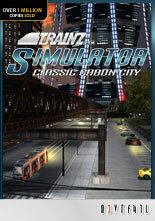 Traffic now shows correctly in when using the add-on packs with TS2010. 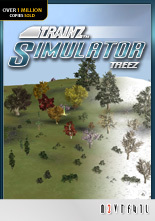 Changed some tree assets to fix some TS2010 speedtree conflicts. Assorted minor session specific changes. Please note that these are content patches, and work differently from the previous patches we've released. They rely on the content build number rather than the number reported in the Launcher (otherwise known as the code build number). You can check the content build number in the CD key list in the Options window of the Launcher. Content build numbers will be visible next to the cd key for each add-on pack. If you are unsure if you need to apply these patches, please wait until we put them on the autopatcher, and they will apply themselves as necessary.